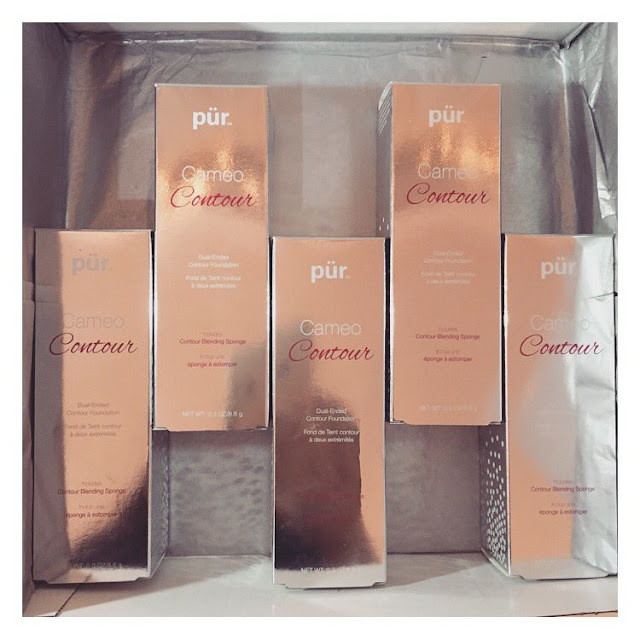 Before we start I just wanted to give a big shoutout to the PÜR Minerals team for sending me this amazing surprise PR packaging with all of the Cameo Contour shades in it! I actually wanted to try this product even before they sent me them so I figured I would go ahead and do a review for you all. Highlighting the face is done by using lighter colored concealers to brighten areas of the face. The reason we highlight the face is because it brings out the areas that the light should naturally hit. 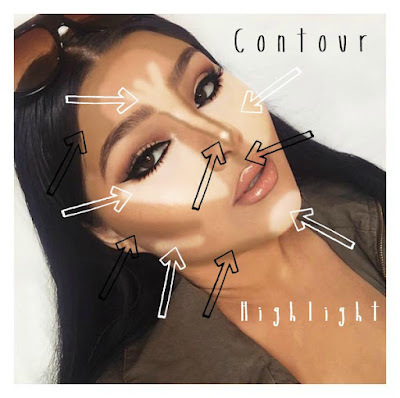 By highlighting you are bringing that area forward. This helps cheekbones look higher, under eyes appear more awake, and your nose look elongated. Contouring the face is done by sculpting areas on the face where you would be naturally hallow. This helps define the face and give a more dimensional effect. By adding a darker color to the hallows of your face you are receding parts of your face you may want to look slimmer. First off let me say that I love this product! They have an amazing shade range, and the formula is so bendable. The double ended stick makes it an all in one product for adding dimension to the face. Easy for beginner to use, and it comes with its own sponge (similar to a beauty blender) making this a one stop shop for contouring! For my application I use the color "Tan" to highlight & contour then add the highlight shade in the "Light" over top "Tan" shade we previously used. Meet the final word in flawless contouring. PÜR's dual-ended contour stick adds closeup-worthy depth and dimension to your natural features with a creamy formula that sets to a picture-perfect powder finish. With use of natural, light-reflective ingredients that resemble microspheres, this 2-in-1 complexion innovation emphasizes your face’s natural highlights and shadows while simultaneously blurring the look of imperfections, such as dark spots and fine lines. 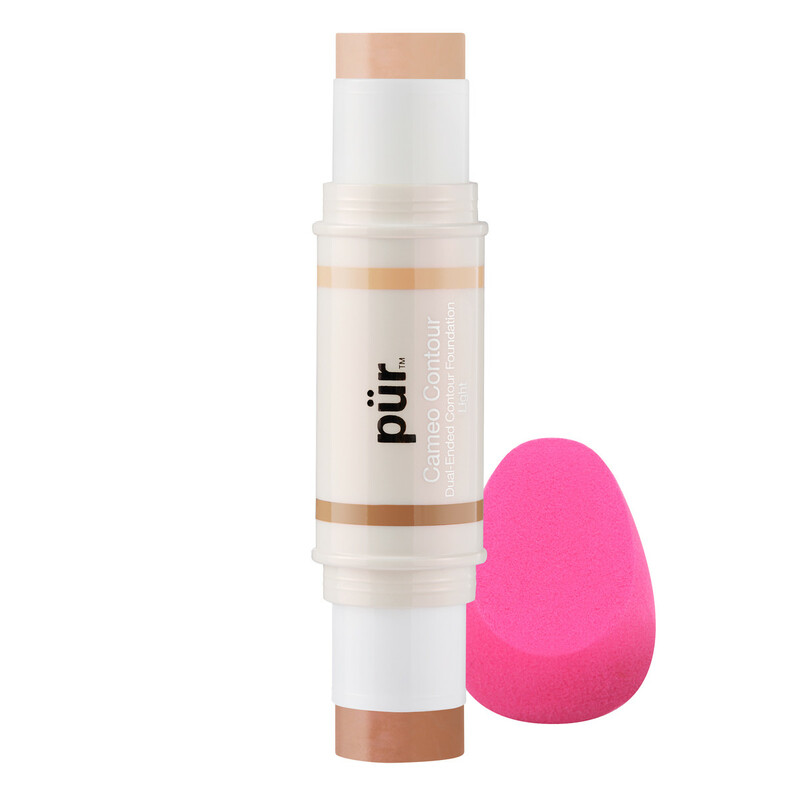 As you apply and blend one or both shades with the Contour Blending Sponge, your skin also absorbs in the skin-perfecting benefits of PÜR’s own Ceretin® Complex—a proprietary blend of hydrating ceramides and age-defying vitamin A! That's about it guys! I hope you enjoyed, also be sure to comment below & let me know below if you have tried these amazing little contour sticks.